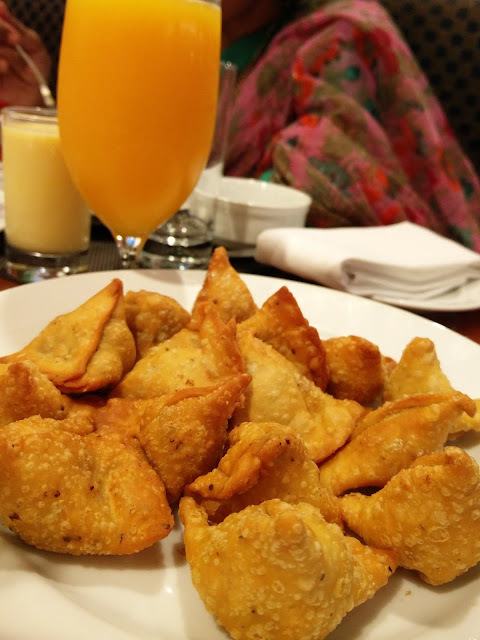 After seeing the ad for Iftar at Crowne Plaza and knowing that they have Dakshin, one of the pioneers in South Indian Fine Dining, I was rather excited about the Iftar at Crowne Plaza. Only after I went there, I found that it was a box for take away! But, you have the option of sitting and eating at Cappuccino (their coffee shop) and the box is slightly better when you sit in house! Why? There is more to the box! So, family was here and there was a last minute decision to eat out for Iftar. 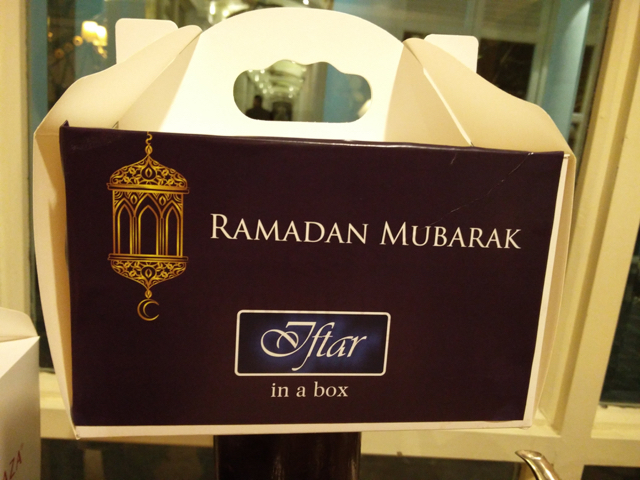 Considering, we eat only Iftar and no dinner and more often than not, no early morning meal, it had to be filling. After debating between going back to ITC and trying out Crowne Plaza, a new meal won and we were at Crowne Plaza! A large fruit platter and dates with some fresh orange juice arrived on the table! 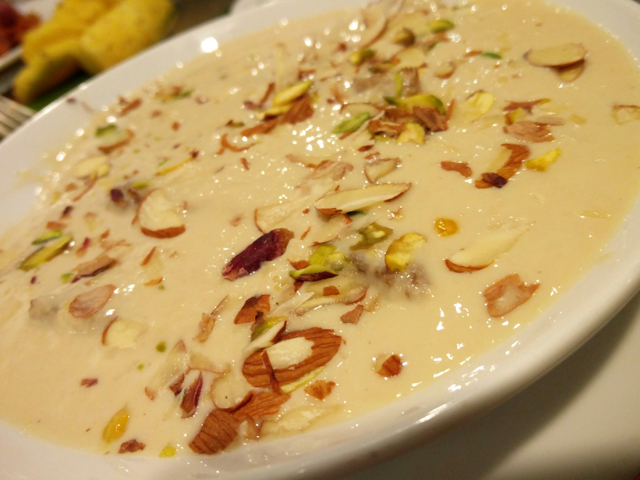 This was followed by Haleem. Now, Dakshin did not matter because, the haleem wasn't from Hyderabad! 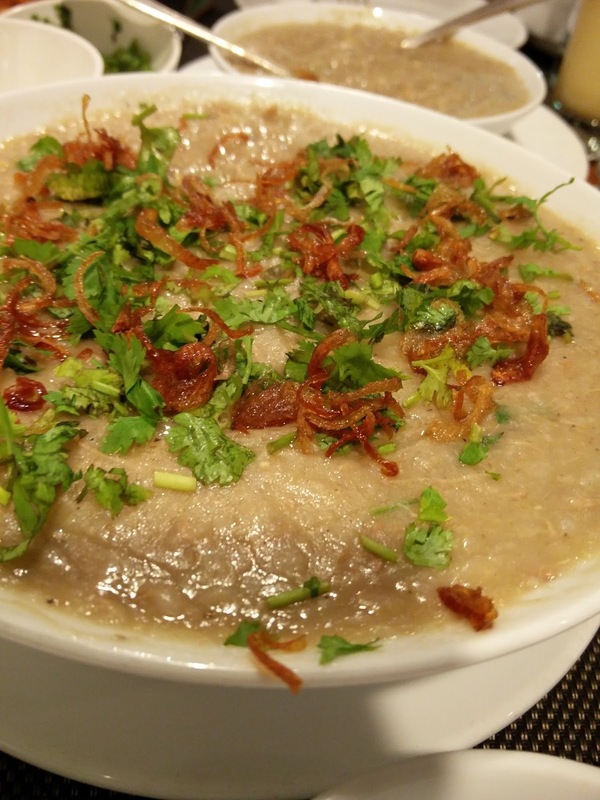 This was a UP haleem. Very very different. Less of lamb flavour, more of the lentils and had a slight sweet tinge to it. It was light and yummy, but in a different way! 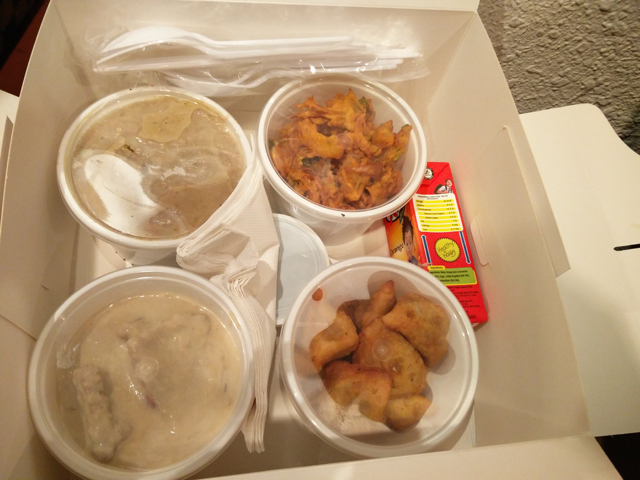 The box comes with Pakodas and Kheema Samosas. The pakodas was soggy, but the Kheema samosas were full bodied with mutton kheema. No potatoes or anything else, just loaded with meat and yummy! 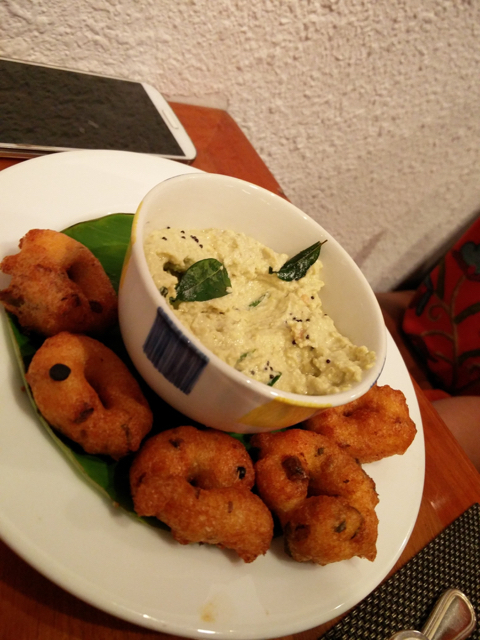 They also served us complimentary mini vada which was super crispy and yummy. The sweet was the Double-ka-meeta! It was yummy! It had fried sweet bread loaded with the sweet rabdi type thing on top! What I loved was that everything was served for the number of people on the table in one pot and then you can sort of serve yourself or they serve for you! No individual platters. We packed one box for home and in the home box, there is a packed orange juice instead of the fresh juice here and obviously no complimentary vada! The price is Rs. 600 plus tax, which comes to Rs. 723 and is the same whether you have it there or take it home! Where should I try the next box!? !